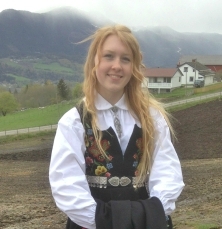 Kristin from Norway is experiencing America in Washington for the 2015-16 academic year. In celebration of International Education Week, she shares with us 6 things she learned as an exchange student. 1. I take too much for granted. It sounds weird, but at home, we really live in a bubble. We have a good life. We know that people don’t have it the same, but you don’t really realize it before you get out in the world. 2. America is all about figuring out things yourself. As a high school student, I learned this the hard way. It’s exactly like the American dream. You get the opportunity to succeed, but no one will help you get there. I was very lost in space for a period in high school after I missed a week, and it took me a while to realize that it was my responsibility to figure things out myself. 3. …and that leads me to — independence. I thought I was always pretty independent, but after three months “by myself,” I think I have changed a lot. You just get used to being on your own and that it’s your job to make friends. Friends won’t just come around, you need to be a little outgoing. 4. You need to get out of your comfort zone. Yes, yes, yes. I found a very accurate quote the other day. “Comfort zone is a beautiful place, but nothing ever grows there.” If you want friends, want to do fun stuff, have a good time, you need to get out of your comfort zone. In the beginning it might be hard, but it will be worth it in the end. You grow so much from it! 5. I learned so much English! I thought I knew a lot of English before I went to the USA, but I think I’ve developed a lot during these past months. I wasn’t that bad before I left, but everything comes so much easier now and I’ve learned more idioms and phrases that Americans use daily. 6. Got a wider perspective on the world. I’ve learned so much more about people, cultures, about high school, and so much more. Every time I meet new people I learn something and USA is country filled with so many cultures I can learn about. I just love it. There is probably so much more I’ve learned that I don’t even think about and there is so much more for me to learn. I got 6 more months here, and I can’t wait for all the experiences that I am going to get. Tags: ExchangeStudent, ExchangeYear, IEW2015, InternationalEducationWeek, StudyAbroad. Bookmark the permalink.